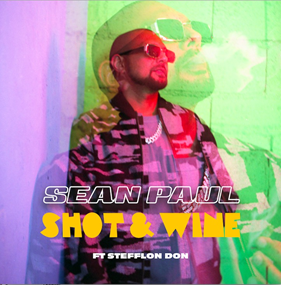 DANCEHALL LEGEND SEAN PAUL RELEASES NEW SINGLE, "SHOT & WINE" FEAT. STEFFLON DON, OUT NOW! Grammy award-winning Dancehall legend, Sean Paul, one of the best loved and most consistent hit makers in pop music, teams up with the one the only Stefflon Don for the release of his new Island single “Shot & Wine”. 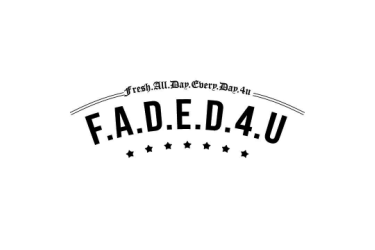 The new single follows Sean’s recent David Guetta produced hit “Mad Love” and his Jhene Aiko collaboration “Naked Truth”. One of the most instantly recognizable voices in music, Sean has been responsible for an unbroken string of massive hit singles in the past 2 years, including "Body" featuring Migos, the worldwide hit "No Lie" featuring Dua Lipa, Clean Bandit’s "Rockabye," which spent nine weeks at number one in the UK charts and, of course, his Grammy-nominated #1 Billboard global smash with Sia, "Cheap Thrills". It’s fair to say that Sean has rarely been away from the higher reaches of the charts and indeed last year he was presented with a disc from the Recording Industry of America (RIAA) for selling a staggering 26 million records. In 2002, Dutty Rock (fuelled by the massive hit singles “Gimme The Light“ and “Get Busy”) went double Platinum in US & UK while 2006’s “Temperature” reached 4x Platinum in US with sales of over 4M. Over the span of his career, Sean Paul has worked with some of the world’s biggest artists including Beyonce, Rihanna, Nicki Minaj, Busta Rhymes, Sia, Kelly Rowland, Enrique Iglesias and 2Chainz, and has also partnered with reggae and dancehall acts such as Damian ‘Junior Gong’ Marley, ChiChiChing, Mr. Vegas, Beenie Man, Ding Dong, Future Fambo, and Tami Chynn. Aside from being a top-notch performer, Sean Paul is a much sought after music producer and has created music with a number of top Jamaican artists.